SunF Corporation has dedicated themselves to meeting their customer's demands and needs. SunF develops and manufactures a wide variety of quality tires in the specialty market. Their line up includes ST trailer, lawn and garden, agriculture, golf cart, ATV Quad Motorcycle, UTV Side by Side, light truck & more! 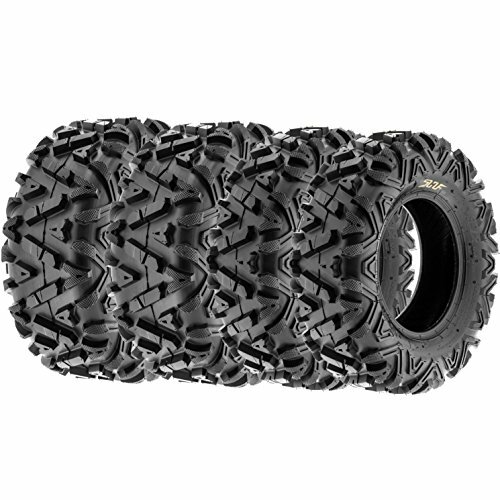 Tires can suit your Arctic Cat, Bombardier, Can-Am, Honda, Kawasaki, Polaris, John Deere, Suzuki off-road vehicle and more. Contact us with any questions you may have. The SunF A033 is among the worlds most popular footprints. Its aggressive, non directional tread pattern features a radial like composition to maintain even braking and a smooth ride while providing maximum traction.